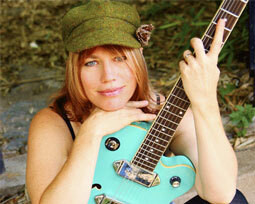 Sara Hickman is an accomplished singer/songwriter hailing from the state of Texas. She's had a #3 adult contemporary hit in "I Couldn't Help Myself," has twice been a guest of "The Tonight Show," hosted her own VH-1 special, was appointed 2010 Texas State Musician, and is an avid supporter of numerous charities. Sara is has released both solo and children's cds including "Family Time Rocks," "Big Bird, Little Bird dvd. " In October 2011 she'll appear in the film, When Angels Sing, which stars Harry Connick, Jr., Kris Kristofferson, Willie Nelson, and Connie Britton from "Friday Night Lights." Sara's most current release is the two disc set "Best of Times." Friends such as Willie Nelson, Marcia Ball, Shawn Colvin, Edie Brickell, Ruthie Foster, Robert Earl Keen, Patrice Pike, Rhett Miller and Robert Earl Keen all contribute covers of Sara's songs. "Best of Times" beneifts Austin's Theater Action Project a Central Texas nonprofit that returns the arts to schools, with the addition of not only sharing creativity with kids but empowering them to be problem-solvers by using art, theater, and music to start dialogues and projects important to kids: bullying, self-esteem, self-discovery, dating violence, etc.